If you follow me or Rob Zacny or the podcast on Twitter than you’ve probably already seen that we have a Patreon. You can follow the link here for more information, and I’ve embedded the video we’ve done. First, it’s important to keep in mind that 3MA makes no money and was never really designed to. Sure, we did a couple of donation drives over the last six years, but we’re not big enough to attract advertisers and it was, at its birth, more a companion to flourishing writing careers. It was a way to leverage and popularize our reviews and criticism, and expand on things we’d written elsewhere. Also, for years now, many listeners have asked how they can support us. We have no subscription program, no merchandise, Idle Thumbs helps with mundane costs like hosting. Spreading the word and sending suggestions have really been all we’ve asked or expected. Patreon gives listeners a way to pay for content that they appreciate or value. It is, I think, a Good Thing. 3MA is getting big. Not Serial big, but tens of thousands of downloads every week, steady growth in listeners. It’s bigger than I ever anticipated. And it has to be done well or we risk losing the respect of our audience. But the show takes time – a lot more time than people realize. Many strategy games take forever to play and it’s not like 2009 when there were maybe eight or nine interesting strategy games a year. We can get six games worth playing in a month now. Rob is a fulltime freelancer, with all the freedom and financial horrors that that job represents. He has never let the podcast drop from the top of his priorities, but paying work is paying work. Patreon funds will allow him to not worry that an extra hour or two fitting a full panel onto a schedule is costing him time better spent pitching another article for food or watching more Hearthstone matches for research. But I’m not here to talk about Vietnam ’65. I’m here to talk a bit about the podcast and how it has grown and changed. We don’t publicly release precise numbers, but to give you an idea of how big the show has grown from its start, the earliest shows have total lifetime downloads that new shows more than double on release day. Our top show in March has five times the downloads of our oldest podcasts that have been available for six years now – that March episode will continue to be downloaded for many more months. Rob and Sean Sands talking about Europa Univeraslis IV in 2015 is now our third most downloaded show ever. It came out in January. So, I can confidently say that our audience has never been larger, our preparation has never been better, and our growth seems to be steady after a real explosion in the 2013-2014 period. And, no, we still don’t make any money doing it, though Idle Thumbs paying for our hosting and our forum is a huge thing. 300 shows is a lot, and I probably never expected it to go on this long. Rob has now been lead chair twice as long as I ever was (I ceded the seat to him in Episode 100) and under his direction we’ve had a lot of great panelist and discussions. A bit of history here. When I started 3MA in 2009, I invited two friends that had similar interests (Bruce and Tom) and an experienced podcaster that I greatly respected (Julian Murdoch). We were the starting panel, and Tom was good enough to let me use the forum at Quarter to Three to promote the show while we were getting things sorted. We eventually stopped doing that, but it gave us an audience foundation to work with. We invited Rob on some time in 2010 because scheduling issues meant we needed another body on the show, stat, and though he wasn’t someone I would have even called an acquaintance at that point (just a young writer I really, really liked), we grabbed him and he was excellent. That gave Tom some freedom to leave the show and start his own game podcast, yada yada yada. Anyway, the point is, the way the show looks now is very different from how it was conceived. If you look at those early shows, for example, we did more thematic stuff. It’s been long enough that we might want to revisit those themes. Now that Steam makes it so much easier to get codes for almost every major PC strategy game, though, we can focus on games like, say Grey Goo, which has also been an oddly popular show. When I heard that my old friend Rod Humble was making a game about the spread of religions, I knew I was going to be playing it. Rod has always had an interesting approach to game design, almost more interested in posing questions (whether about history or emotional connection in games) and I had high hopes that Cults and Daggers would be the same sort of mind-twisting, self-reflective sort of game that I came to expect from him. Of course, when you’re selling a game on Steam for 30 dollars, there are limits to how “out there” you can go, and Cults and Daggers is ultimately a quite conventional territory control game that uses persuasion and secrecy instead of armies. 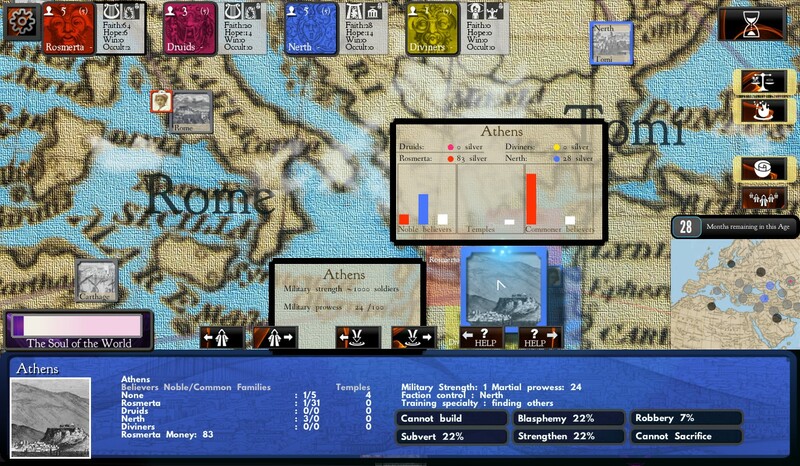 It’s underdocumented (I’m not sure exactly what wars do, or what happens to the map between ages) and the UI is a mess. But it does have interesting ideas, and a quite old-fashioned style of play. Some people have been able to use its thin religious veneer to reconnect with their personal ideas of faith. I was never able to make that leap. It’s probably not surprising that I couldn’t quite connect with it. Religion in games is generally a matter of special buffs or general harmony. In Civilization IV, a multifaith empire that controlled all the Holy Cities was an unstoppable force of culture and gold. In Civilization V, you pick generic religious “beliefs” if you found a new faith, but the most powerful ones are, again, related to bringing in gold or special buildings. Our games at Paradox (the Crusader Kings and Europa Universalis series) give every religion an attribute or two that, usually, give you bonuses or new game experiences. But Dominions is about becoming a god, not founding a religion. 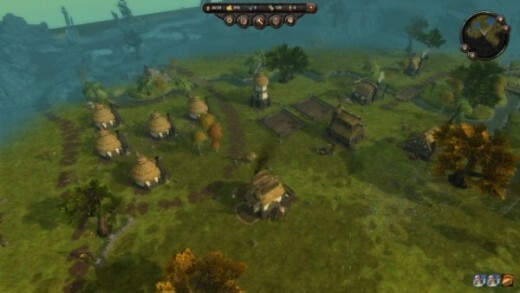 The temple in Rise of Nations expands your boundaries and increases tax income, but is not a building of “faith”. It’s been a long time since I’ve published a design meditation. Let’s see if this brain still works after a year of not blogging. I like city-builders. I will play a wider range of incomplete and ill-thought city-builders than I will of almost any other strategy genre, and we all know how full of ill-thought ideas strategy gaming is. I won’t stick with most of these games for very long. City-builders are exceptionally hard to do well because a rewarding city-builder is deep and complex but also makes it easy to find out what is going wrong in your city – even if there is no easy way to fix it. I’ve played a few different indie city-building games in the last year. The rather rough but enchanting Banished. The terrifying but only “anticipated” Clockwork Empires. The seemingly unsure of itself Folk Tale. The light and tablet-born 1849. And there’s Hearthlands, which I have just started playing, but it looks charming and 1997-ish. Richardson is especially on point when he talks about how it sometimes feels like UGG degenerates into blobs with no clearly defined lines. Your troops get all messed up together, and, yes, it can be rough to keep everyone straight. And god, I love keeping everyone straight. You wouldn’t know it by looking at my apartment – I am a bit of a slob in many areas – but I really like my soldiers lined up in perfect little rows as they march forward to be shot. In Pike & Shot I will hold up a too-far-ahead tercio because I want my reserve guys to line up beside it, for aesthetics as much as utility. In Field of Glory, I will try to make both my flanking charges envelop the enemy at the same time, and will get quite annoyed when someone doesn’t sit still and let me hit them from behind. A suboptimal road connection in Civilization V is definitely not on. I would probably be a better Combat Mission player if I weren’t so hung up on elegance; I know my Close Combat play suffers from too meticulous attention to building enfilade fire-zones for advancing Wehrmacht. And don’t get me started on my city-building problems. Now, historically, some of this stuff would make sense. Civil War rifles were certainly better than most Napoleonic muskets, but the cloudy smoke of the battlefield and power of mass fire still meant that you wanted to stick near your standard and your troop-mates. The near impossibly perfection of Cannae is still studied today because its deadliness is attributable to that amazing beauty of timing, co-ordination and precise planning. Ultimate General Gettysburg doesn’t give me the tools to keep my lines together or advancing as synchronized units. You drag the unit with your mouse and where it ends up, it ends up, and that often means overlapping the next brigade over and OCD generals across Pennsylvania start freaking out. Please use the comments to share your own gaming pathologies. I can’t be the only weirdo out there. The news that Vic Davis is abandoning computer game design to focus on board games isn’t that much of a surprise. His western card game Six Gun Saga can be easily imagined as a cardboard and plastic material object. 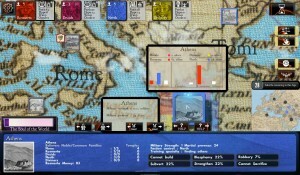 His first game, Armageddon Empires was a deck-building hex-based wargame. And his multiplayer masterpiece, Solium Infernum looked like a boardgame, even though there were so many things to manage that it’s nearly impossible to imagine anyone finish a faithful facsimile in their living room. I’ve played all of Vic’s games, and enjoyed them all. 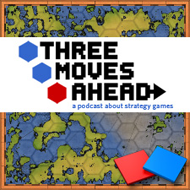 Vic was the first guest on Three Moves Ahead (episode 1 is no longer available because Julian’s mic wasn’t working and a lot of the conversation is lost.) My glowing review of Solium Infernum for Crispy Gamer is now lost to the vagaries of website shutdowns, but I should see if I still have a copy somewhere. So even though I understand Vic’s decision to move to boardgames (boardgames are hot right now, he already has the mind for them, his choice of development language seems have been a poor one), I’m can’t help but be disappointed. Vic Davis is one of those developers with an unerring sense of “theme”. Every mechanic and every bit of art buttressed the idea that games can be (though they certainly don’t have to be) escapist, in the best sense; a means to translate the soul to a new world for a few hours. Solium Infernum, I think, stands out for me because its theme of demons competing to reign in hell is so unique that even people with no head for convoluted strategy games got sucked into play-by-email matches. There was a built-in unfairness to a lot of the systems, and how you build your starting demon can mean everything or nothing if the map and avenging angels had a say in how the game progresses. It’s a game made for chat rooms and secret deals, using cards as blue shells to simply stop whomever is winning and damn the rest. Vic has always been a friend of the blog and a friend of the podcast. You can listen to him talking about Solium Infernum in episode 41 and Six Gun Saga on episode 120.